The iOS platform offers many different ways for the iOS app developer to integrate iOS devices with external hardware. 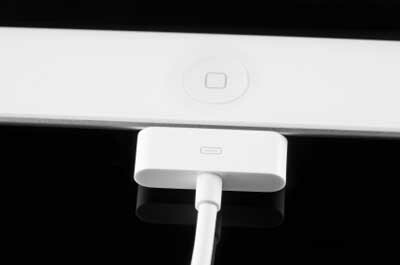 Utilizing two cameras, a 30-pin dock connector, Bluetooth, Wi-Fi, and a headphone jack with an additional control mechanism, the full line of iOS devices offers many different ways to connect external hardware. Using these various inputs, additional functionality can be added. Sensors, switches, motors, and many other electrical devices can both offer input to an iOS device and be controlled by an iOS device. The power of Apple’s mobile systems has presented itself through its large and ever expanding library of apps. The internal hardware provides a large base of power which can be tapped in to. From custom designed processors to crisp displays and many different sensors, including proximity sensors, there is a bulk of internal hardware to utilize. However, the power that exists can be easily supplemented with additional external hardware. When developers use iOS app development techniques that integrate with external hardware, they can extend the power offered by iOS devices to even more scenarios. The iPhone and iPad have truly revolutionized the way in which people interact with their surrounding environments. With the additional of external hardware that can seamlessly integrate with one of the hundreds of thousands of apps, extremely powerful and agile computing environments can be customized and implemented in seconds. With the power of such devices coupled with external hardware to provide even more inputs, the sky is the limit when it comes to new and ever-changing ways to interact with data and the physical world. It is up to iOS app developers to come up with ways to take advantage of all the external hardware that has potential to integrate with iOS devices. If you are a hardware developer looking to integrate a devices with an iOS device, Ecom Solutions is an iOS app Development company ready for the challenge. This entry is filed under Apple, iOS 5, iOS application development, IPad, Ipad 2, Iphone, Mobile application development. You can follow any responses to this entry through the RSS 2.0 feed. Responses are currently closed, but you can trackback from your own site.